The Tarahumara people of Mexico, the Yapese of Micronesia, the Suri of Ethiopia, the Inuit of Greenland, the Yanomami of Brazil and the Wodaabe of Niger: different peoples, different cultures, different languages and different environments. Yet the one thing most of them have in common is that their knowledge and values are disappearing. There are many reasons for this: political changes, tourism, climate changes and the economic interests of our global society are threatening these peoples and their way of life. 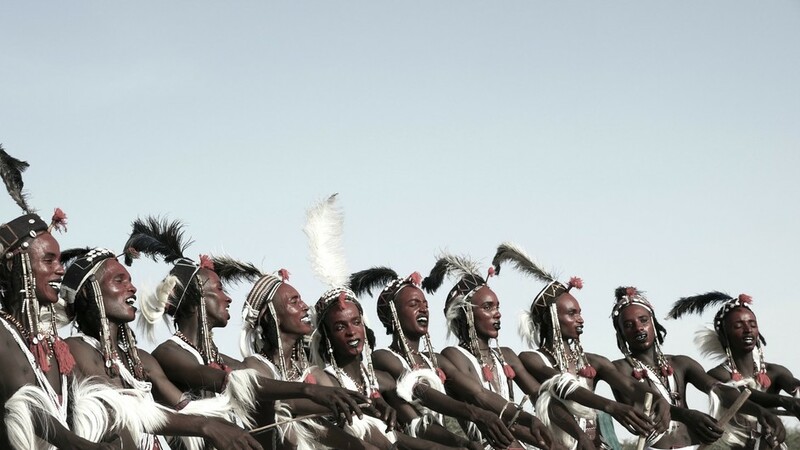 In Niger, the ancestral lands of the Wodaabe are shrinking; in the Brazilian jungle the Yanomami people are threatened by illegal gold mining; a Chinese company is willing to buy more or less the whole island of Yap to build luxury resorts and land sales of the Ethiopian government are endangering the Suri in the Omo Valley. There are very few populations that have been able to avoid change for this long. They chose to remain isolated and vehemently refused contact with the Western world, but their days seem to be counted. What will happen to the ‘uncontacted’ peoples of Amazonia if the deforestation of the rainforest continues? This two-part documentary series portrays six different but threatened indigenous populations around the world – a cinematic journey to the most distant reaches of our planet. The films show the world from these peoples’ perspectives, with their thoughts and their skills. The series focuses on the problems of the individual groups as well as on the uniqueness and diversity of human life. We accompany these people through their world, show their everyday lives, gain insight into their culture and learn something about their traditions, their way of thinking and their actions. In unique footage, the series shows the wide variety of human knowledge and thought that is on the verge of extinction. Disintegration is at hand: while the Yanomami still celebrate ancient marital customs and rituals, life as they know it is being threatened. The rights of the Yanomami people to ownership of their territory and the integrity of indigenous land and traditions have been guaranteed by the 1988 Brazilian Constitution, but still the so-called ‘Garimpeiros’, illegal gold miners, intrude the land and exploit the Yanomami’s natural habitat. Dario Kopenawa, a young Yanomami, left the forest and went to the city when he was a boy of 17 years. Far away from his homeland he started to work on new ways of saving the Yanomami’s cultural heritage. In Greenland, the custom of hunting seals using dog sleds has almost been replaced by a modern lifestyle. Some still remember the old ways. It is unknown though how much the next generation will remember. The uniqueness of the Inuit’s cultural heritage is on the edge of destruction. Different conditions prevail in the Pacific Ocean. There, in affairs of cultural and traditional importance to the inhabitants – for example the purchase of land or the arrangements of weddings – they still deal in their own currency, namely ‘Ray’, or stone money instead of dollars. The Yapese people, residents of the picturesque Micronesian island Yap, know about the so-called ‘western ways’. Tourism hit the island a while ago, as Yap is a premium diving spot. On the other hand Yapese teenagers are sent to the US or Australia for apprenticeship. Most of them later return to the island to stay forever. Very often, identity is connected with ancestry, origin and cultural heritage. How people, who have to live in different conditions than they would wish for, adapt to change, can be witnessed in different societies. Respect towards modern societies does not necessarily mean adaptation. The Tarahumara, indigenous people in Mexico, sell homemade snacks to the passengers of stopping trains, but otherwise renounce society and live their lives in small autonomous families. In Niger, the Woodabe also stick to their nomad lifestyle and travel from one watering place to the next, without feeling the need to change. They cling to their lifestyle, but fear they might be the last generation of travellers. The Suri of Ethiopia still practice their ritual ‘Donga’ stick fights, but the Ethiopian government wants them to stop. Lip plates and other significant characteristics are bound to vanish, as the government tries to relocate the Suri due to intended land sales. Some indigenous populations haven´t yet found a way to protect their land and heritage but some have started to fight the windmills. Davi Kopenawa, charismatic leader of the Yanomami people of Brazil, nowadays lives between the worlds. He travels the globe to raise public interest for the threats against the Yanomami people, and on the other hand still lives a chief’s and shaman’s life in the middle of the Brazilian jungle. From the Andaman Islands to South America: a few undisturbed peoples still exist on this planet. They want to be left alone and in peace, which at times is necessary to prevent them from being exposed to illnesses they are not used to, and which could even threaten their lives. Tourism is another great threat nowadays. The wish of many to discover the last mysterious places on Earth might be the final step towards the destruction of the very same. However, the era of untouched populations living unchanged for thousands of years, far away from globalization and Western values, is coming to an end. When those peoples disappear, their languages, cultures, knowledge and unique perspectives will also vanish forever.